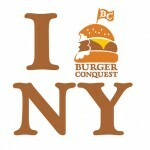 Where is the Best Burger in NYC? I get asked the question constantly. People could easily look at the list entitled “Burger Rank TOP BURGERS IN NYC” in the sidebar widget on the right of this website. They could also read this post I wrote in 2011 that goes into great detail about what I consider to be the Best Burgers in NYC. Unfortunately, at the time being, I can no longer answer this question. Thus an era ended. THE “Rub Burger” is THE BEST burger I have EVER had and it no longer exists. I never learned all of owner Andrew Fischel’s Burger making secrets but from what I was able to uncover, I will hold to my vest. Simply put, no one who has ever fed me a Burger has put as much time, love and care into their Burger like the ones I ate at Rub BBQ. You will never be forgotten. Some of these I haven’t eaten in awhile and need to go back but I trust that the list will stand up against anyone else’s opinion. If they disagree, that’s ok. Some people like walking around and being wrong. So what if you want to know where to find the best Wine Bar or Bike Path or Coffee Shop in NYC? Where do you look? I’m sure there is a blog dedicated to each or you could scour Yelp, Zagat, Google Places, FourSquare and any other number of places that aggregate localized info. Or you could ask a local. Welcome to Romio.com. The site works like a message board with crowd sourced information based on local experts. Want to know where to find the best Mac N Cheese? Now you can ask Rechelle Balanzat who has those answers. Need to have some head shots taken? Francis Kenney can help you. Where can you get the best Italian Sandwich in the city? The answer is Graham Avenue Meats & Deli in Brooklyn but if you want more answers, do what I did and ask the people on Romio.com. Signing up is easy and only takes a few moments. Once you’ve got an account, follow me on Romio and start asking questions! 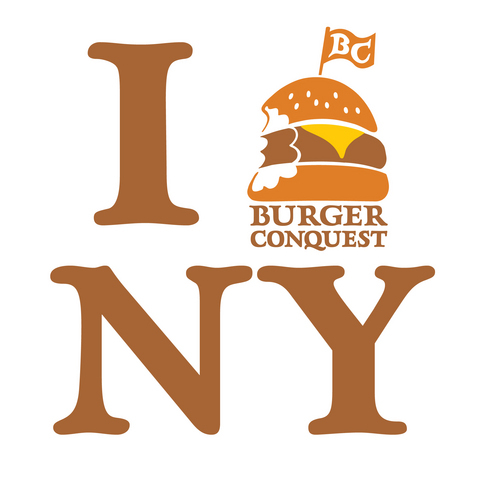 This entry was posted in Best Burger in New York, Best Of, Burgers, Gourmet Burgers, Hamburgers, Social Media and tagged best burger, burger conquest, cheese, ciancio, french fries, hamburger, nyc, rev, review, romio, rub bbq, the rev meter for social community. Bookmark the permalink.